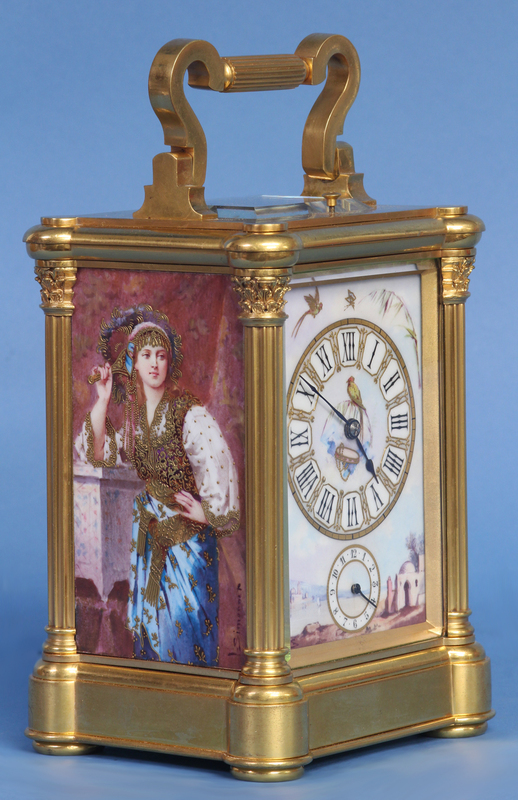 c.1890 French Carriage Clock with Exceptional Porcelain Panels. 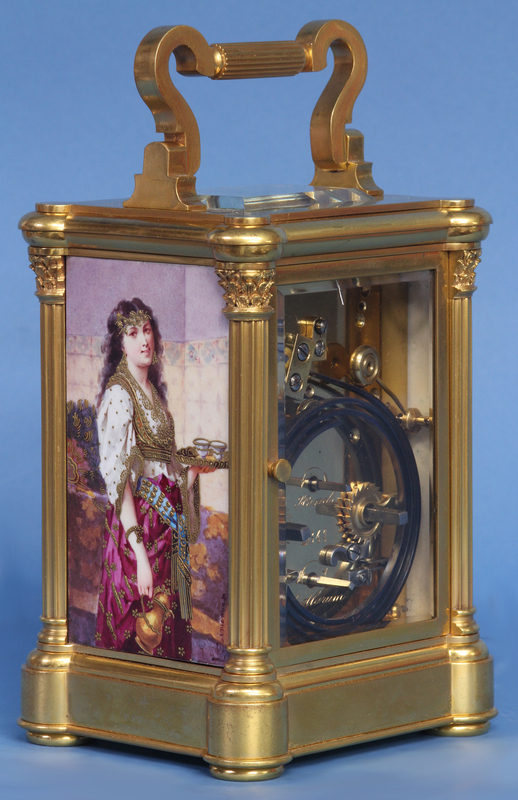 c.1885 French gilt-bronze carriage clock with exceptional porcelain panels signed by Lucien Simonnet. 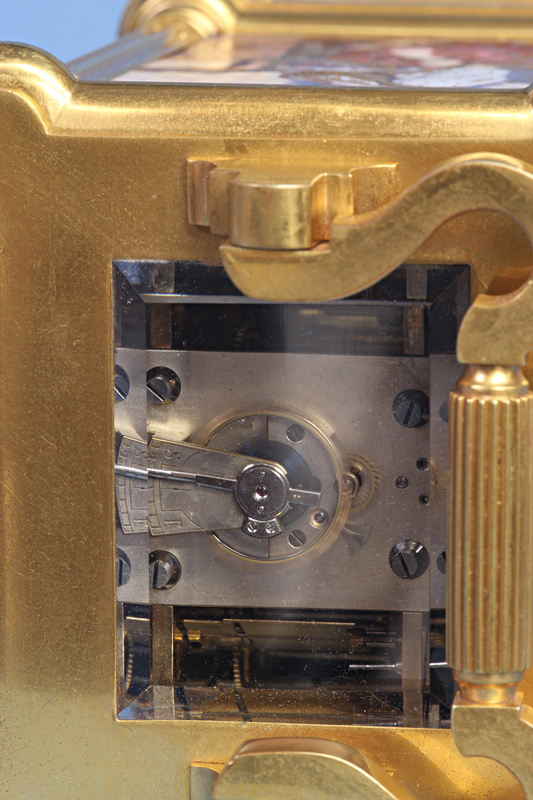 The gilt-bronze, shaped case has fluted Corinthian columns to the corners, beveled glasses to three sides, porcelain panels and a hinged handle above. 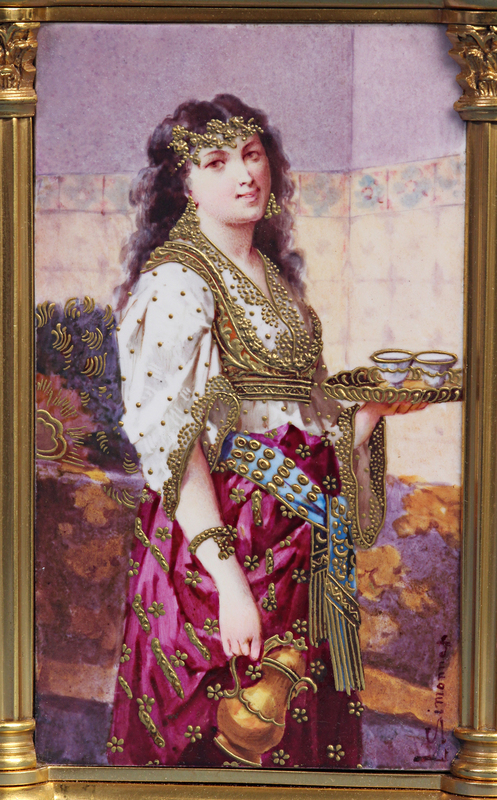 The exceptional middle eastern inspired panels are signed ‘L. 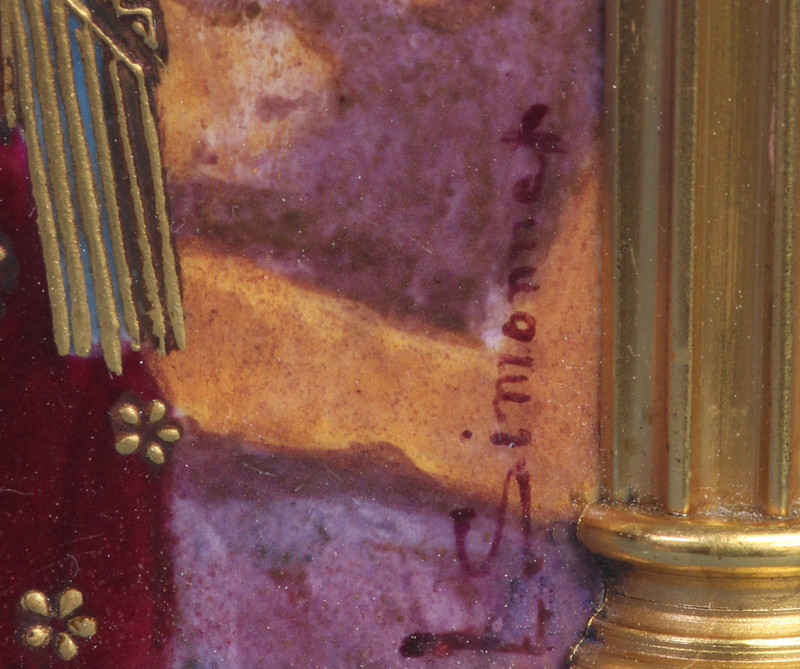 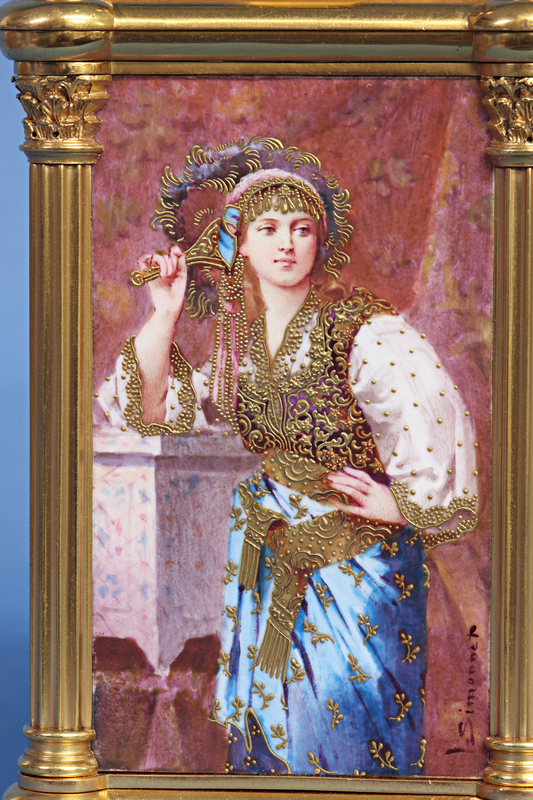 Simonnet’ and feature beautiful female subjects elaborately decorated in raised gilt-work. 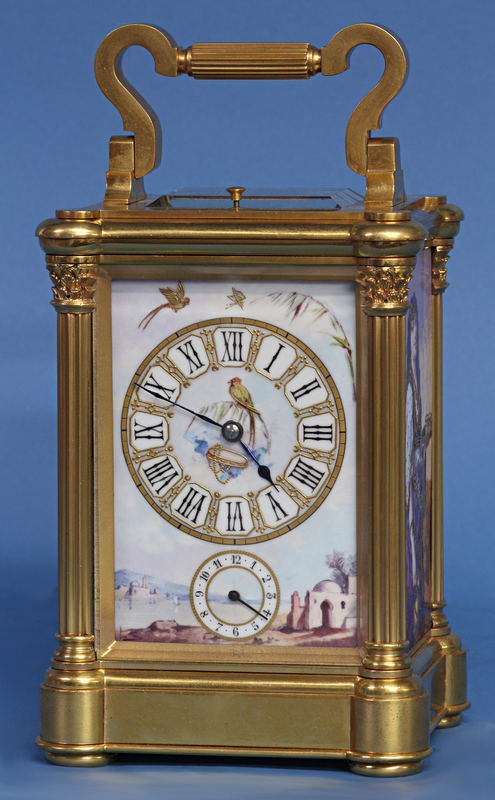 The matching porcelain dial depicts a landscape scene with flying birds, Roman numerals for the hours, Arabic numbers for the alarm, blued steel-cut hands and is embellished with elaborate raised and flat gilt-work. 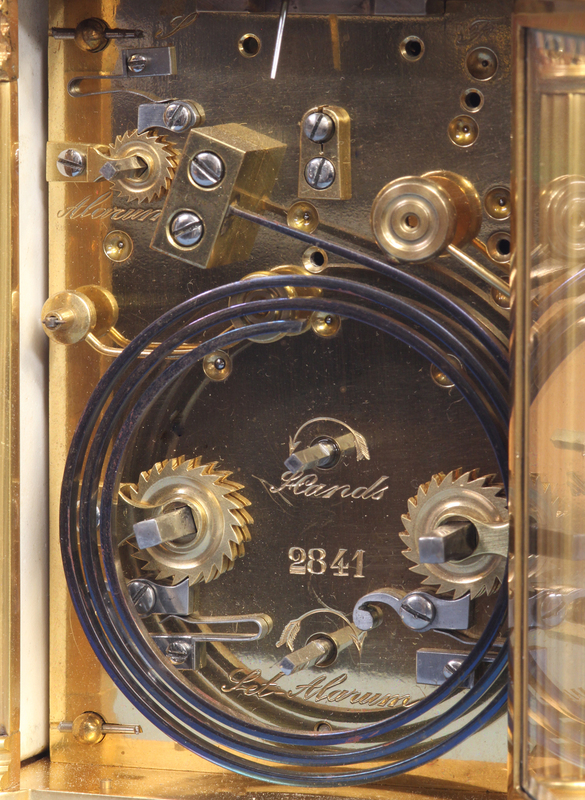 The eight-day time, strike, hour-repeat and alarm movement has a lever escapement with a silvered platform, all the engraved indications in English, strikes on a gong and is numbered ‘2841’. 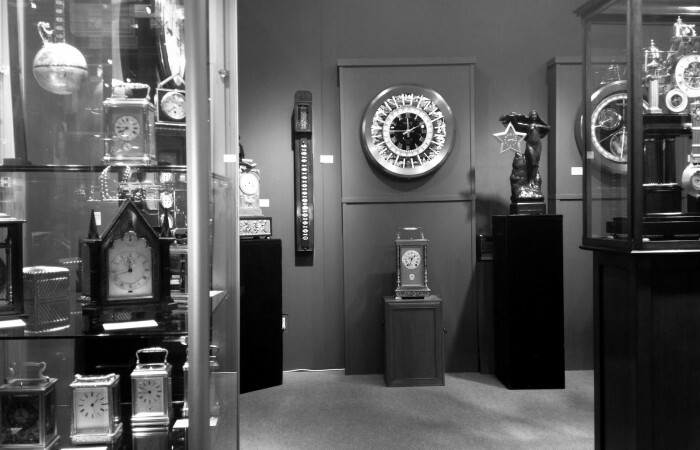 For other examples of carriage clocks with panels by L. Simonnet see: ‘A Century of Fine Carriage Clocks’- Clocks 7, 66 and 68.